We Heart YA: I've got an Idea!! If you were ever wondering what it's like being a "writer seeking agent," I'm going to share some things that I've learned over the past year. I've entered lots of contests--some I've had success and others not--and think they are a fantastic way to get your work out there in front of agents. I recently entered a contest that had 356 entries! Just the thought makes my stomach sink. I didn't make it to the 30 open slots, but that's okay. I've definitely developed that "thick skin" everyone's always talking about. But I still feel it. Like a mosquito bite...slightly annoying, kind of itchy, but it goes away eventually. From querying the past year, I've had 8 full manuscript requests from agents (many more partials, but I haven't counted them). Each of them has said in some way that, while "well-written and entertaining," my book doesn't stand out from the saturated market. It's WAY competitive in YA. That contest with 356 entries? 201 were YA. I could easily tell myself, "Self, you've been at it for a year, around 66 agents have had a looksy. Put the book down. Try again." And in a way that's what I'm doing. Lesson One: Always Be Writing. Not just thinking, but practicing your craft. You can eliminate the "weak writing" problem straight away. So agents never see your training wheels. Lesson Two: Never Give Up. Sounds cliche, but it's so stinking true. You know it is. You can smell the truth from here. Lesson Three: It's all about your Idea. I've had agents say that my concept is "cute," "good," "compelling," but that my story doesn't "blow me away" and needs "an element of mystery or a thriller aspect." An agent recently asked, "What's the hook?" I was confused because I thought it was apparent. I have to work on that. So many people who've entered contests with me this past year are signing with agents and selling books. The common denominator is this: Their stories had great hooks. Their stories started with a great Idea. I wish it hadn't taken me a year to realize this. But that's what querying is about. You don't know until you try. Quiet stories are always going to be a tougher sell. 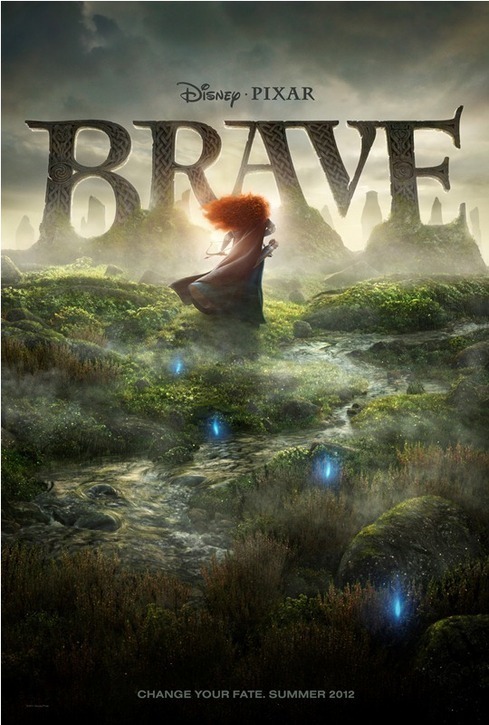 Just look at how much people have criticized Pixar's Brave. 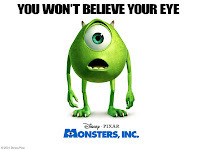 It's not as popular as other films like Monsters, Inc. but it has it's place. 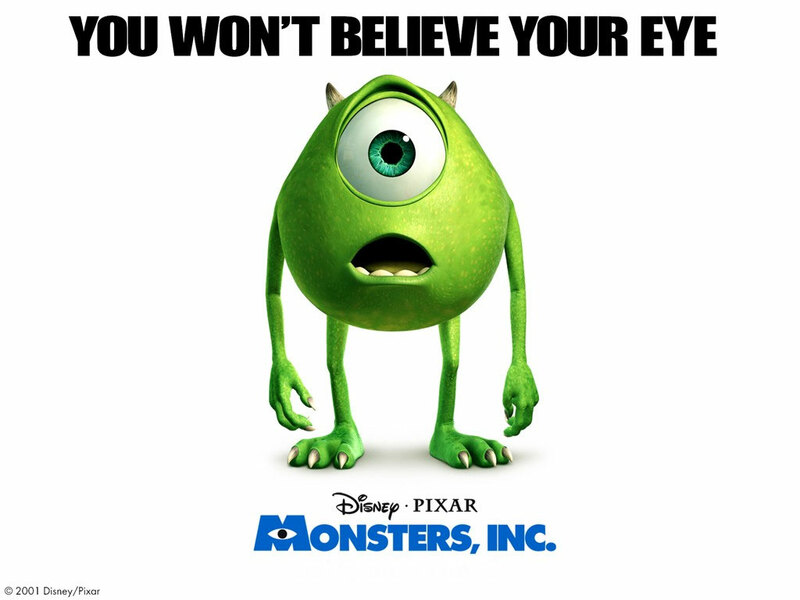 Also, it wasn't Pixar's first film. Debut authors have to STAND OUT big time to get noticed and compete in the market. Good writing should be a given, but Ideas are Gold. I hope this helps some of you writing your cute little butts off. And thanks for listening. Now tell me: What books out there do you wish you had thought of or written? Thanks for writing this post. I'm not querying yet, but my writing partner is and just watching her go through all of this is daunting (and I feel a little bad at times that I get to learn from her trials before I start mine). I'm definitely passing this along. The great thing about putting books on the shelf is that you can always come back to them. Maybe your story is too quiet for right now - but after your big bang of a debut novel, maybe you can come back to it. :) I love hearing about other people's journeys through this. @Kaye M...Thanks so much! Best of luck with your own writing. And really, concentrating on the writing is the most important thing. @Bailey...Thanks for the comment! It may seem daunting and at times it's really exciting. Don't feel bad, your writing partner is on your side!! And you'll have your own lessons. Make sure you share 'em (and keep writing). You know, I agree with you, but I also don't. Like, I just finished BEFORE I DIE by Jenny Downham, and that is not an idea book. In a lot of ways, this story has been told a million times: teenage girl dying of cancer longs for love. Lurlene McDaniel has told it -- multiple times. John Green has told it -- NY Times (bestseller, that is). It doesn't have a great hook, it's not high concept. But it's powerful and well-written. I love your Mouse Photo. It's tough out there and I know I gave up on the writer seeking agent aspect to go to writer seeking publisher and there are days I wonder if I made the right decision. Love love love this post. And I'm rooting for you Sarah. The first manuscript I wrote and queried was quiet. Very quiet. And it received little attention. I think when it came to book two, book one was instrumental in that I had first hand experience in what wasn't working for agents. Anyway, I'm rambling. But whether it's this book or the next, I'm cheering for you! @Andria...I mean you haven't given up, you just chose a different route. I've always thought small publishers have a TON going for them. Look at the success Mike Mullin found! He's still unagented, but he's going to BEA and readings all over. I'd be honored if a small publisher took me on. @Julie...I've loved following your story through contests and then seeing you sign and SELL. So much good stuff is happening for you right now. Thank you so much for commenting and letting me know about your first (quiet) book (I hope you sell that one too). I'm definitely hanging in there. Writing the next book is my favorite thing to do! This post is fantastic! I have it starred in my Google Reader so that when I (eventually) start the querying process I can refer to it. Thank you so much! I so wish I had written IF I STAY...oh, that book made me really WEEP. So beautiful. I love quiet books and it makes me sad that they don't get as much love as the big, hook-y stories. Yes!! Made us weep too. And have you read WHERE SHE WENT? Because it's a totally great follow-up!